Novation Launchpad Pro is a midi-based controller, and this is the third variation of the Novation Launchpad series. The Launchpad Pro expands on the already popular Launchpad and brings even more control and features to make an impressive production and performance controller. The main portion of the controller is the 8×8 grid of velocity and pressure sensitive RGB pads. These pads allow for playing clips, beats, and melodies with complete dynamic control over each aspect. There is very tight integration with Abelton Live, and this is a key factor in making this product such a powerful controller. Almost every feature of Abelton Live can be accessed and controlled from the Launchpad Pro, allowing you to focus on using it as the primary interface for your creation. You can still break free from Abelton and use the Launchpad Pro directly with midi capable instruments as the Launchpad Pro comes with midi in/out, which is one of the differences between this and the original Launchpad. 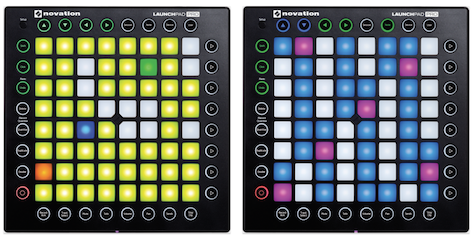 There are four different modes on the Launchpad Pro: Session, Note, Device, and User. Session mode, the workhorse, allows you to trigger and combine clips with the expanded buttons on the Pro. You can access all of the controls associated with clips — volume, pan, effects and more are available. Also with the pressure sensitive pads you can control how things are applied to those clips. For example, if you want to increase the volume of a clip, a hard press turns the volume up immediately while a lighter press slowly increases the volume. You can start and stop whole scenes (a row of clips in Abelton) with one press as well as scroll through to other clips via the side control buttons. One way that makes this navigation easy is the RGB LED buttons; the buttons will match the color of your tracks in Ableton so you have a context for where you are in your piece. In Note mode, you can control your software based instruments. If you select a melodic instrument such as keyboard or bass, the Launchpad Pro will go into chromatic mode which will highlight root notes and scale notes in what ever scale you are in. If it is a percussion based instrument in will go in to drum pad mode which highlights a 4×4 grid and buttons to use to create beats. Again, with the tight integration with Abelton you can select and arm tracks that you want to record in, quantize, edit, and duplicate tracks. You can also quickly jump into Session mode to start playing additional tracks while working in Note mode to experiment with different sounds and compositions. Also, you have Scale mode, and once you move into Scale mode you can choose from 32 different keys and modes from Minor to Mixolydian to Iwato. When in Scale mode all 64 pads are assigned in sequence to that scale, and anything you play will be in key, so if your theory skills are still growing you’re not held back in trying new and different scales or modes. 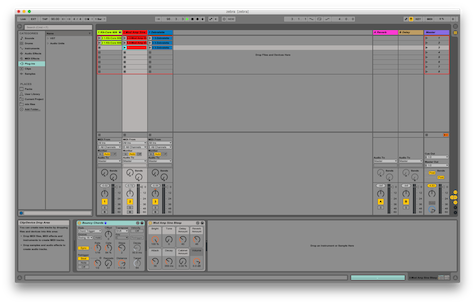 In Device mode you can control the effects and the instruments parameters for clips. Again, with full access to Abelton you can change the parameters of the effects and qualities of your clips and instruments. The pressure sensitive pads allow for responsive control on how the changes are made. 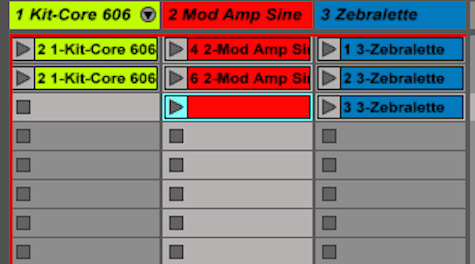 Lastly, sort of, is User mode where you can create custom midi mappings for light effects. In this mode you can map clips to buttons on the Pro and they will feed back into the device to control the LEDs. This allows for making custom light shows while you perform. The actual last portion is the midi in/out ports on the Launchpad Pro. These allow you to control midi devices directly without a computer. You can control them in chromatic mode which allows you to play melodic notes. Drum mode has a 4×4 pad series to play beats, and there is a programmer mode to create your way of interaction. 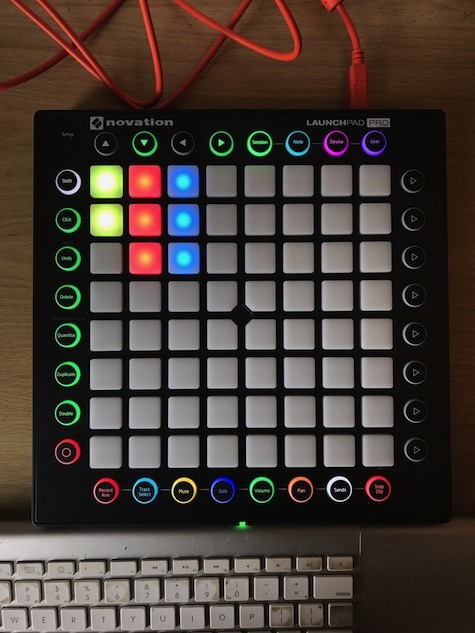 Access to 16 midi channels through the LaunchPad Pro is available. The “Pro” in the name is highly accurate, because this machine is a beast. I was barely able to scratch the surface of what was possible with this review. The features for the Launchpad Pro are almost limitless. The number of different configurations and ways of using it make it a powerful machine whether you use it for production or performance.